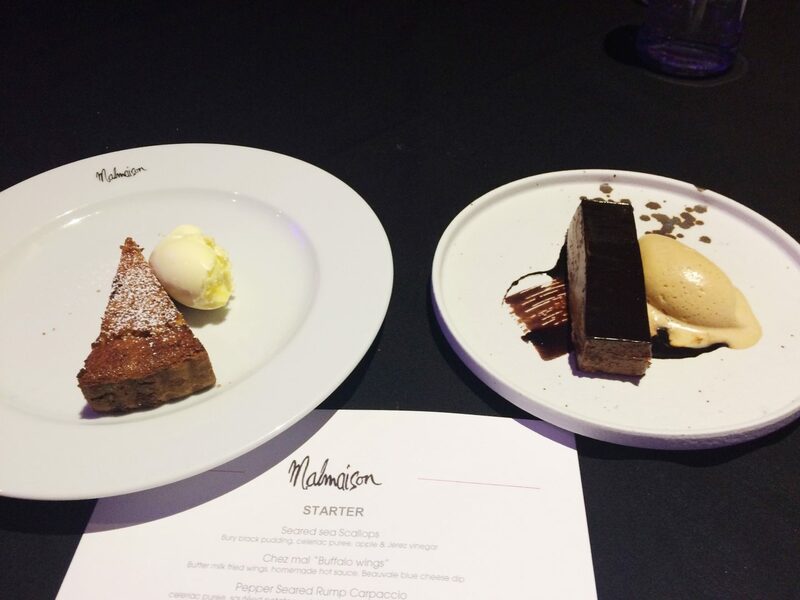 Malmaison Hotels are known as one of the most luxurious hotel chains in the UK, so when the opportunity to try out the new food menu at the prestigious Manchester hotel landed in my inbox, I was excited to say the least. Chez Mal Brasserie is at the heart of the hotel with an incredible atmosphere and a menu to match. The restaurant recently launched a few new menus- Sunday Lunch and Afternoon Tea, along with the menus I had the pleasure of sampling, the Prix Fixe and A La Carte. Described as a contemporary showcase of dishes showcasing the season’s finest ingredients, the Prix Fixe celebrates artistry at its best. 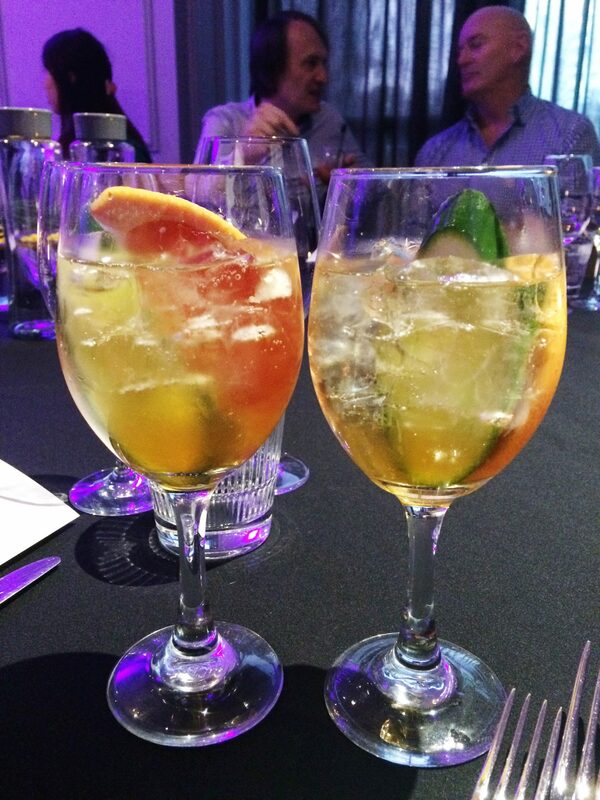 The menu is available until 7pm and offers two courses for £19.95 or three courses for £24.95. The A La Carte menu is a bespoke collection of dishes that have been carefully curated by executive chef John Woodward. On arrival, we were shown to the private dining area before being greeted by Jay, Malmaison’s Sales Manager. We took seat and were offered a choice of two cocktails- I went for the Mal Fizz which went down a treat. Shortly after settling in, a selection of canapés were brought out including Bruschetta and Calamari. Next, it was time for the starters! Two that really stood out for me were the Chez Mal “Buffalo Wings” which were served with homemade hot sauce and a Beauvale blue cheese dip and the roast warm squash and pumpkin served with charred onion and buffalo mozzarella. 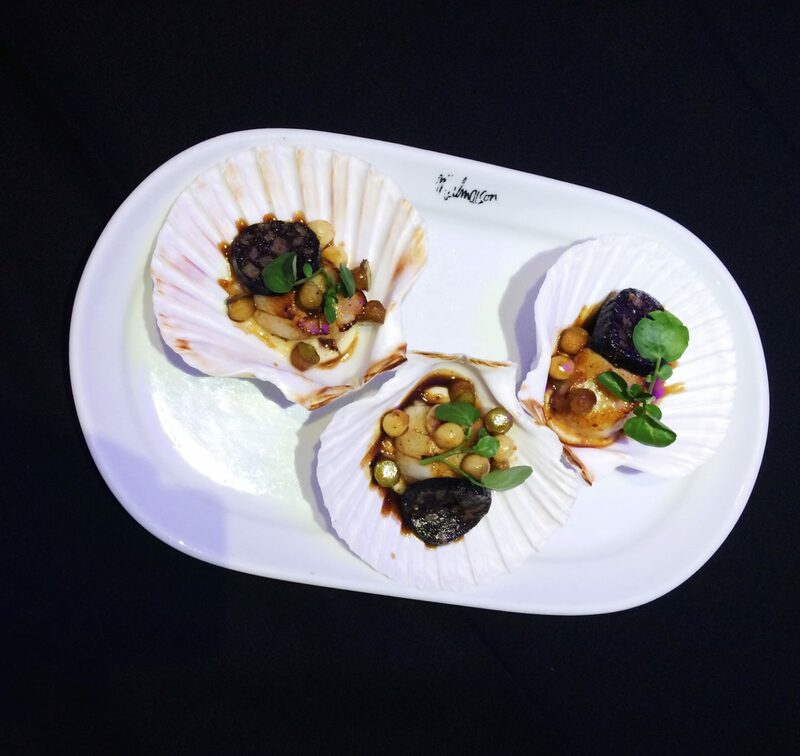 Also served was a plate of Pepper Seared Rump Carpaccio– served with celeriac puree sautéed potatoes, picked mushrooms & black truffle dressing– and Seared Sea Scallops with Bury Black Pudding. I don’t like scallops OR black pudding so I didn’t try this dish but everyone else only had good things to say about it! 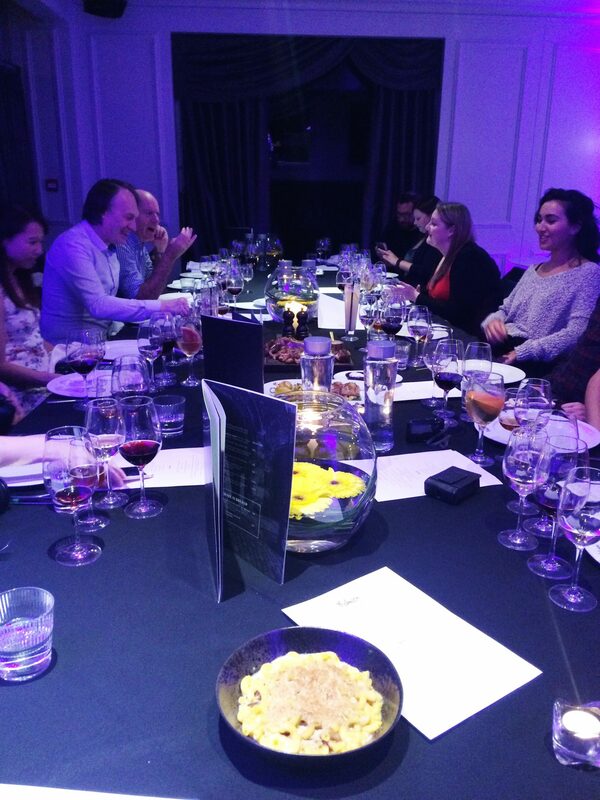 Each course was expertly paired with three different drink options- a white wine, a red wine and a beer- so it was safe to say there were going to be a few sore heads in the morning! 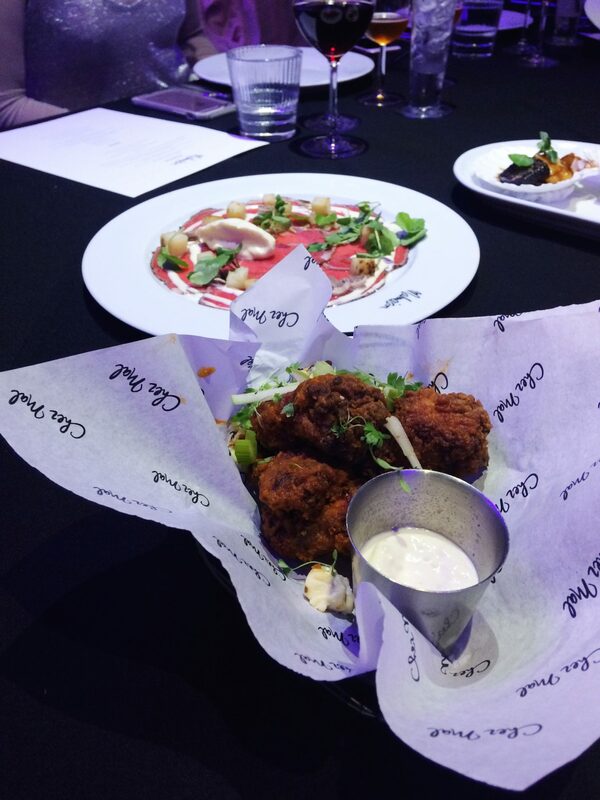 After devouring the delicious starters, we were treated to a mini masterclass from head chef Jimmy Williams, who talked us through the steaks served at Chez Mal. The restaurant age their beef for 28 days to ensure maximum taste and quality, with the onsite beef house on full view to the customers. 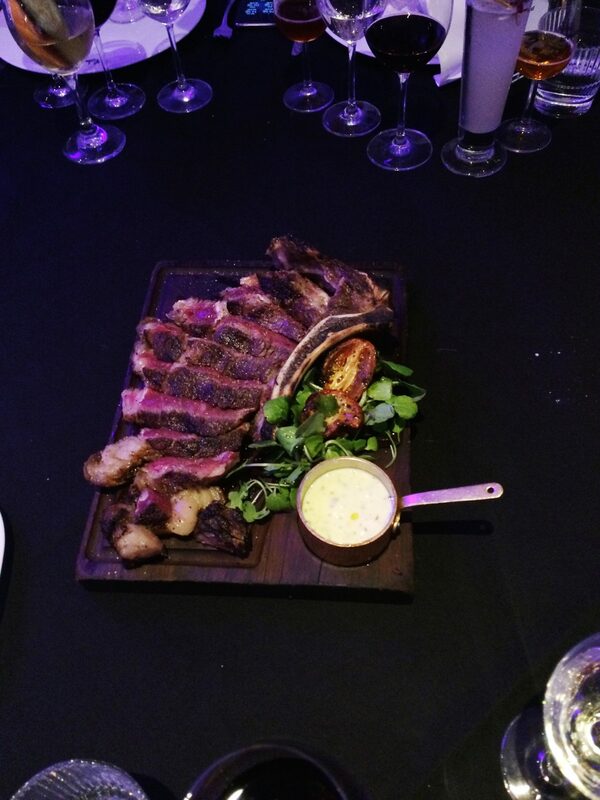 It was then time for the main event as a variety of steaks were brought out- Fillet Steak, Josper Prime Rib and Josper Wing Rib. Now, as someone that doesn’t usually go for steak, Chez Mal’s were absolutely phenomenal. Melt-in-the-mouth perfection. 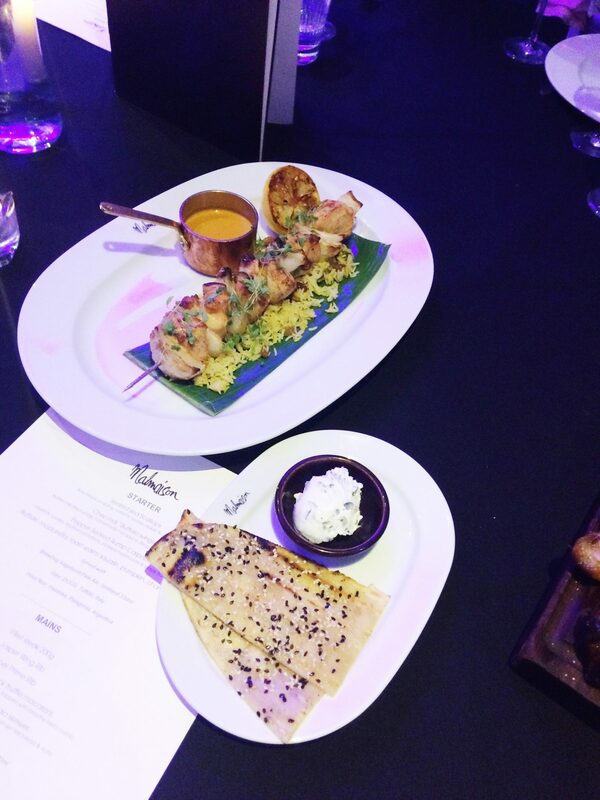 Alongside the steak, we were served Chicken Tikka Masala Skewers that had been marinated for 48 hours in Chez Mal’s exclusive in-house spice mix. 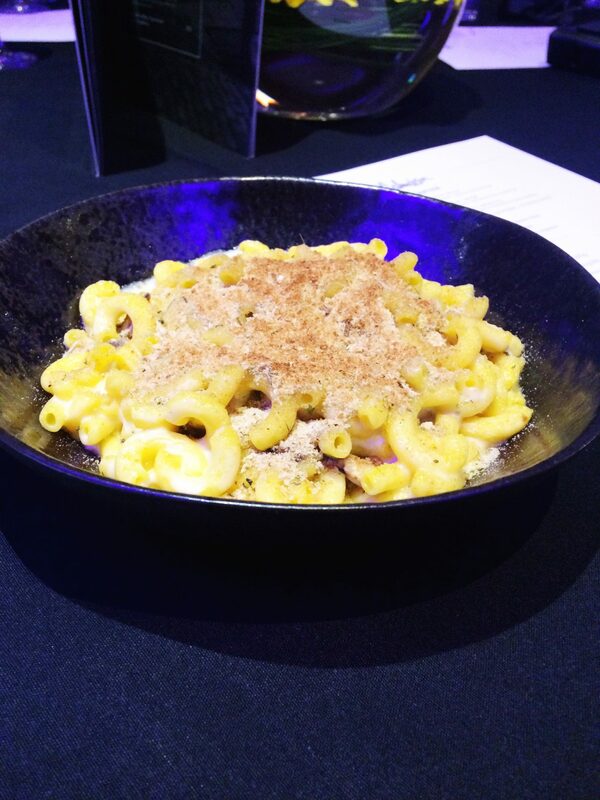 For the vegetarians amongst us, Mushroom & Black Truffle Macaroni was on offer. The dishes were served with a range of sides, including fries, chunky chips and some MASSIVE onion rings. 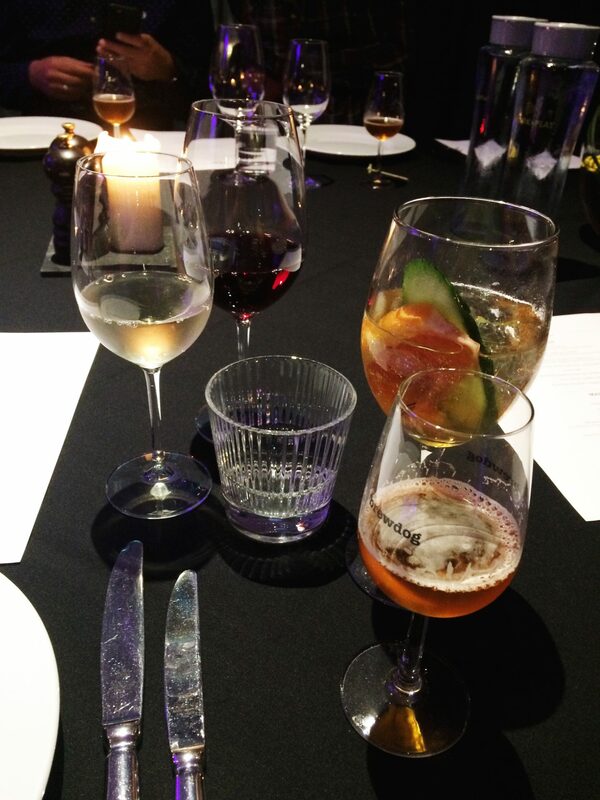 Just like the starters, the mains came with a variety of perfectly paired beverages. Finally, it was time for dessert, which like the rest of the meal, did not disappoint. Treacle Tart with Clotted Cream, Crème Brulee and my favourite, a Valrhona Chocolate Pave served with Salted Caramel Ice Cream. If you’re not one with a sweet tooth, the Autumnal Cheese Platter was one to have a go of. 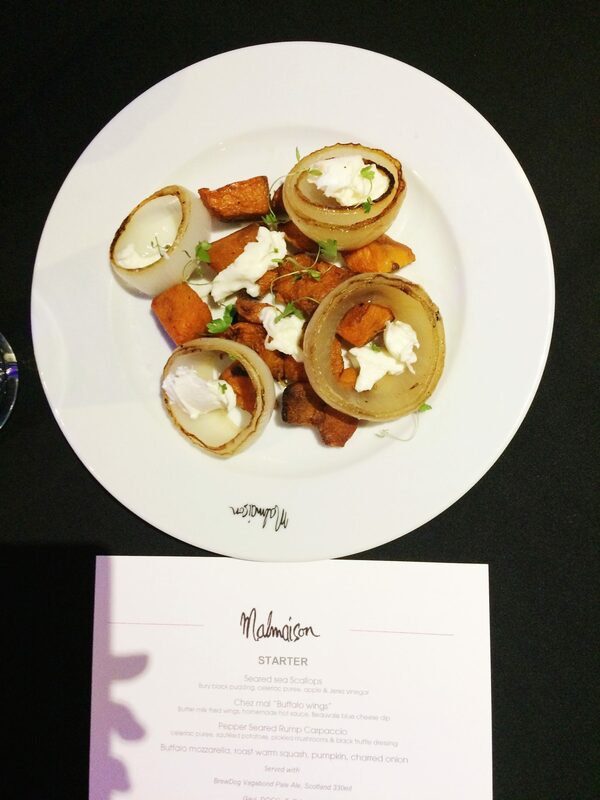 Chez Mal’s new menus are a fresh new take on Autumnal comfort foods and if you’re a foodie in Manchester, the delights of the well-loved dishes with a contemporary twist are not to be missed. Malmaison is located in the heart of Manchester and is easily accessible from Piccadilly Train Station. 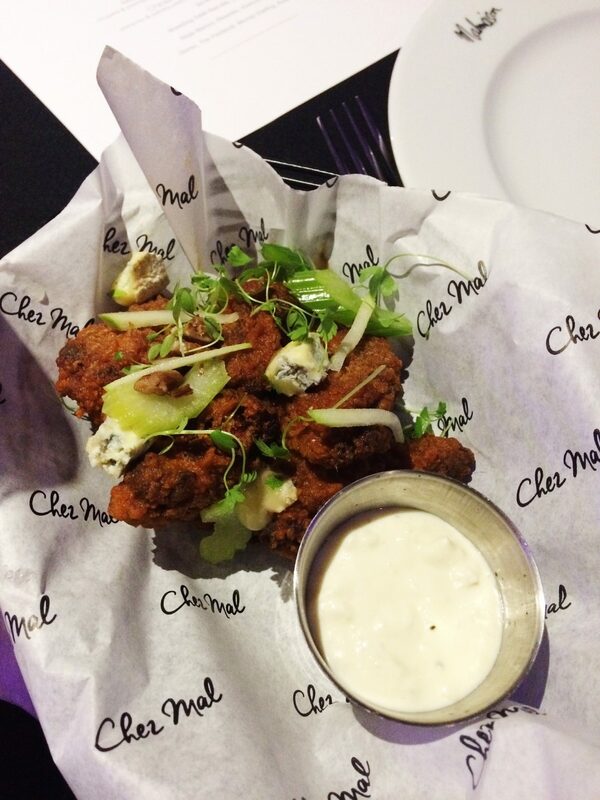 I attended Chez Mal as a guest but as always all food loving words and photographs are my own. The mac and cheese made my mouth drool looks like an amazing time. There are so many wonderful Autumnal menus available which is great. I’ve not had buffalo wings in ages, yum! Oh wow that looks amazing! I’m not far from Manchester but have never been here, it definitely looks like one to try! That mac and cheese looks amazing! Oh my gosh, that’s the fanciest food I have ever seen! It looks amazing! All of that food looks amazing! Especially the ribs and the skewers! This menu looks amazing! Those scallops with black pudding look so tasty. Will check this place out if I’m ever in Manchester.